I wrote that, then realized neither the globe nor months actually have corners, but we’re about to see pics of when Mr Lannis let me use his power tools on vegetables! so let’s move quickly, shall we? 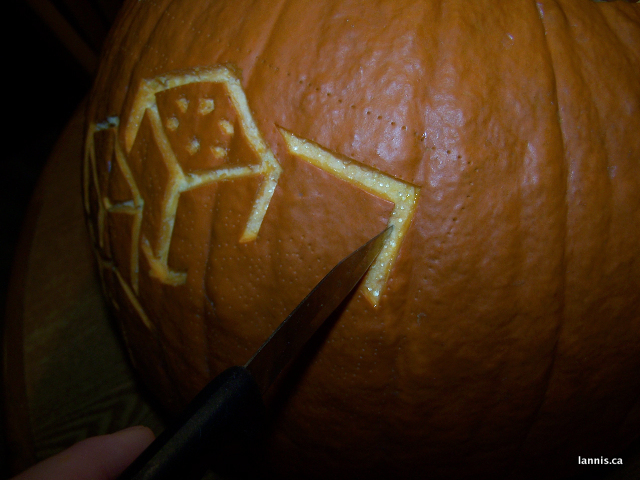 Basically, I decided to dig out the photos I took last year of my foray into template pumpkin carving to share with our schnazzy little group here at The Mrs.
Also? This entire post is highly geeky, so I’m inordinately (perhaps impossibly!) proud. See? Wheel of Time related. Told you this would be geeky. Nothing special. 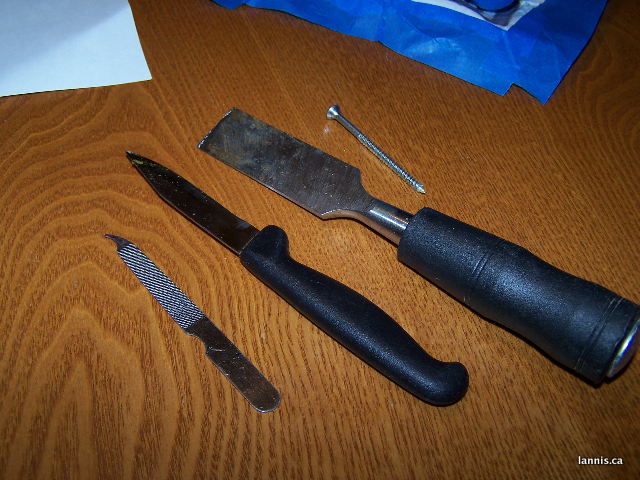 Just a nail file, a paring knife, a chisel, and a screw. Not pictured: the drill Mr Lannis gave in and let me play with — whee! — but that happened, unexpectedly, later. Erm, and tape. You’ll need tape. 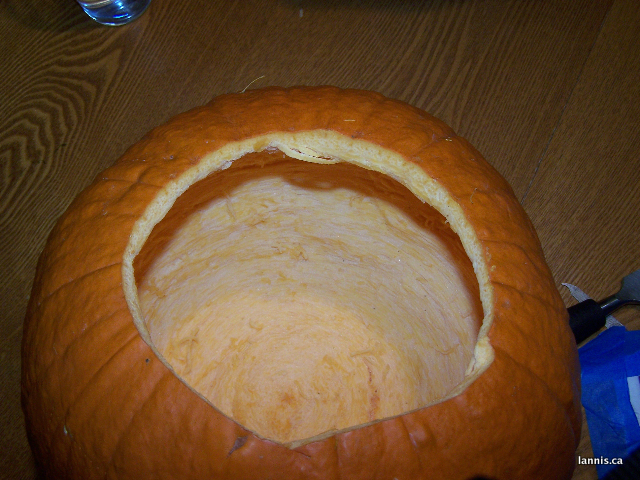 Now, empty out your pumpkin, hollowing out the choice carving side is a good idea if your pumpkin is extremely thick. Next, choose your template. POINTS FOR GEEKINESS! — remember, this will look amazeballs regardless of how it turns out. And I’ve learned people (especially the kidlet variety), are easily wowed (those of the parental variety are, too, even if it’s only from fathoming having the time to do something more than, say, a few triangles and a gap-toothed smile). Making a template is easy — the Internet and a printer and you're good to go. 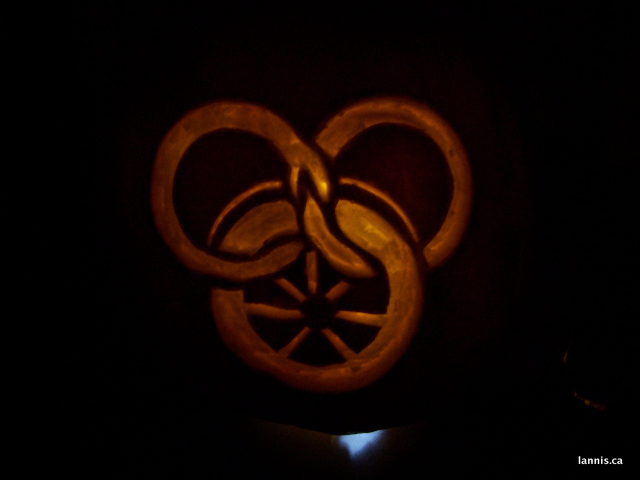 Wheel of Time chapter icons are excellent for this (obviously), but anything will do. For kids' cartoon characters, I'd look at free colouring pages online for decent black and white images. Be adventurous! Print out your choice as large as you can, providing it fits the carving space on your pumpkin. 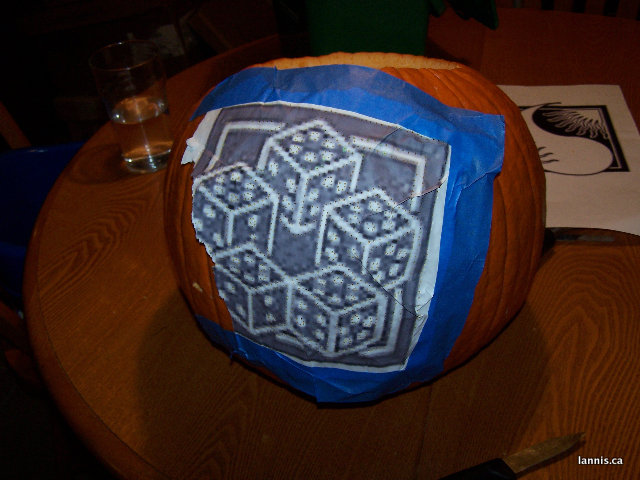 Center and tape your template to the pumpkin, and you’re ready to pick up sharp things! Okay, maybe just the screw. 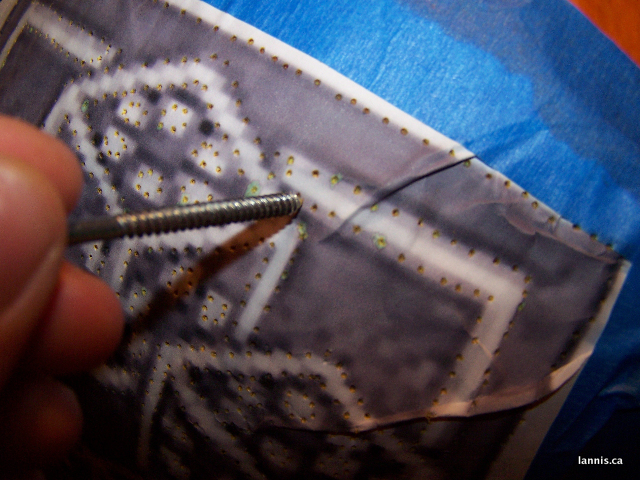 Using the screw (or a wide pin, nail, or anything sharp), punch holes to trace your template onto the pumpkin. 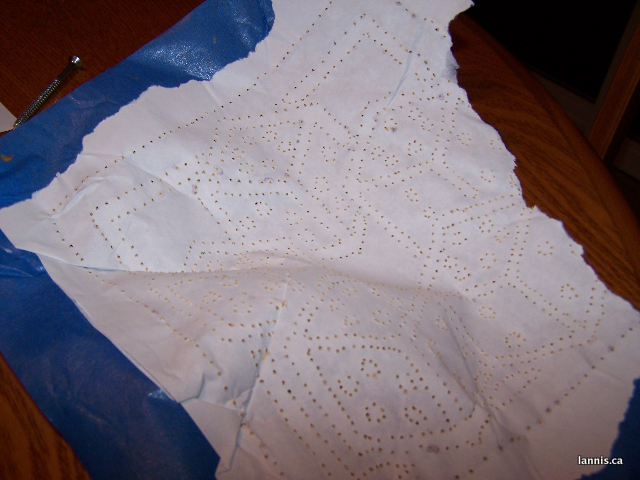 Use LOTS of holes, because it can be tricky to see your guide lines if you don't. See? Lots of holes punched. 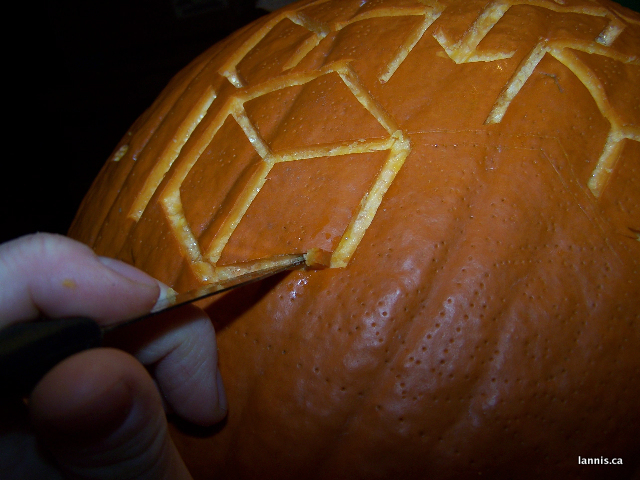 Removing the template, use a sharp knife to cut along the dotted lines, but don’t cut all the way through your pumpkin! About halfway is good. You want to your candle to glow through the rind when it’s lit, not be seen through giant holes in your hollowed-out squash bucket (who came up with this wacko tradition anyway?). 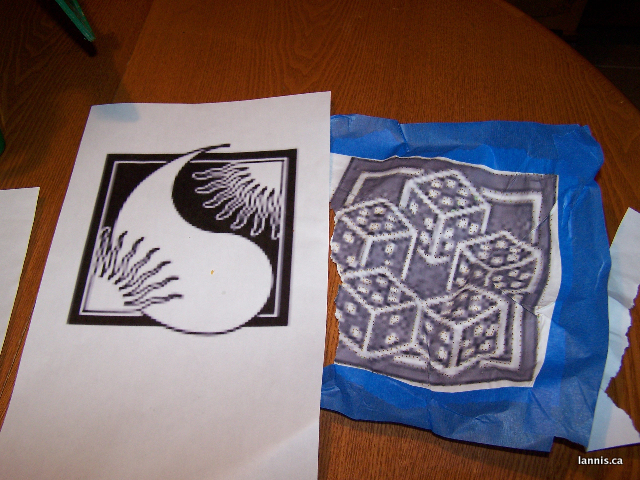 I found it easiest to cut out small chunks and carefully remove the pieces one at a time. Yes, this is the time-consuming part. Use the chisel to clean up the grooves. There’re no points for neatness — and if your neighbourhood is anything like mine, you’re basically competing with kindergarteners (read: yours will be über-cool, regardless, so no worries). 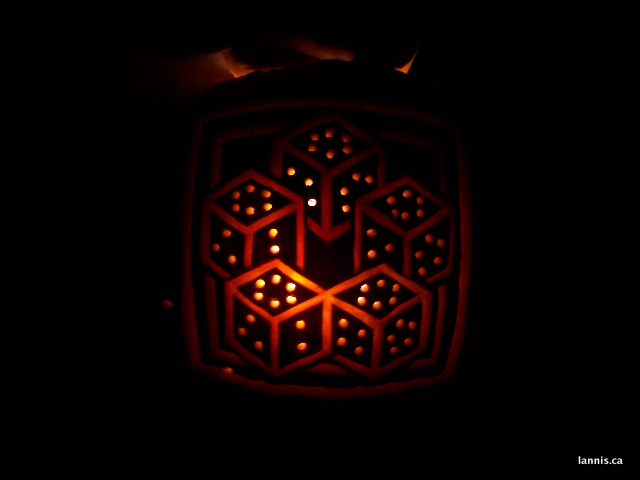 I drilled all the way through the pumpkin in the hopes that the pips would glow better. And in the way of jack-o-lanterns, they never look quite as good in a photo as they do in person. Now go forth! 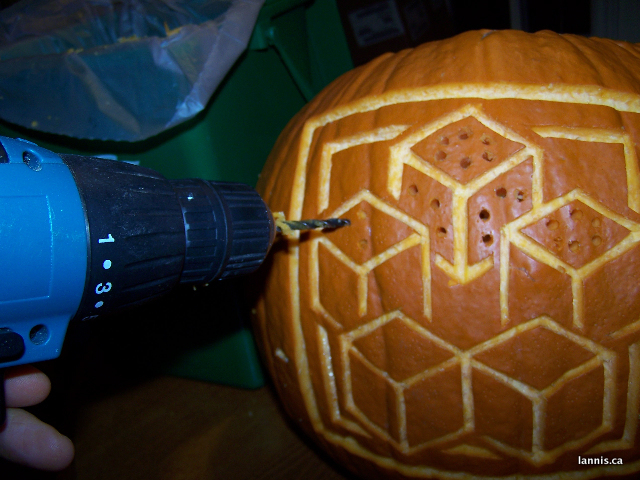 Carve your geeky WoT hearts content! Pepper your porches with WoT-y goodness! 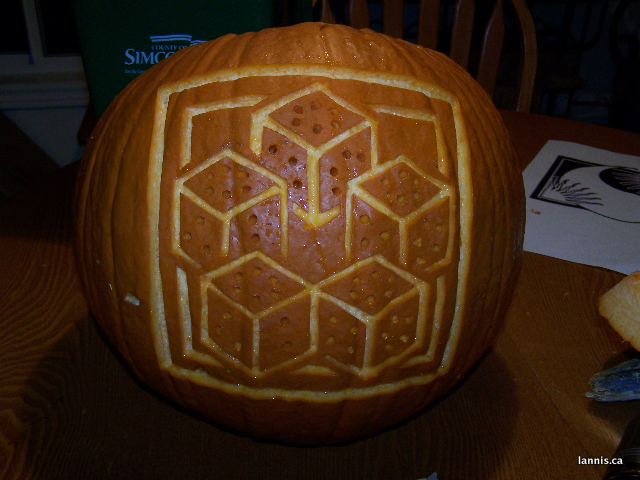 Revel in extreme geekery and know that you have the coolest jack-o-lanterns, despite how your husband rolls his eyes with that tone of voice. 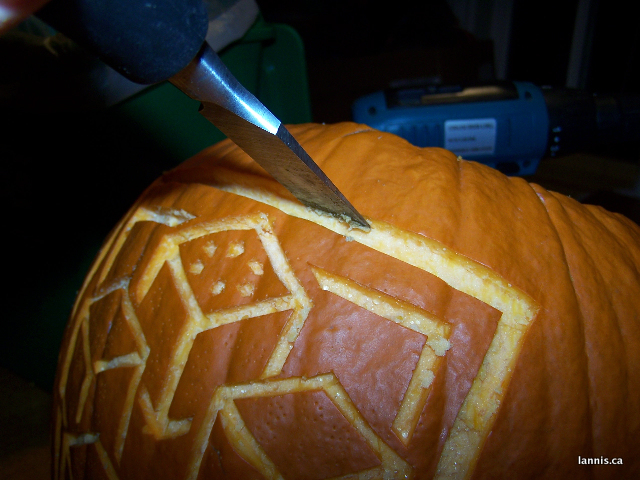 Or, you know, you could use the skills in this post to carve another, equally intricate design to wow your neighbours. I’m sure Disney princesses are charming. But bonus points for unabashed geekery. It is hip to be square, after all. I did a Dalek last year. :} Might be fun to go WoT this year. Goodness, is it really pumpkin carving time already? I know, right? Insane. A Dalek sounds awesome! That's a great idea, Lironah!